Veteran journalist, founder and publisher of Business Hilights Nigeria, Prince Stan Okenwa has been honoured by his hometown, Amanator-Ihiteowerri Community in Orlu Local Government Area of Imo State. The 2018 Community Services Award was given to him by the Aba Branch of Amanator-Ihiteowerri Development Union (AIDU) on 31st December, 2018 at the Community Centre. In his address of welcome, the Chairman of AIDU, Aba Branch, Chief Philip Orisakwe, who commented on the awards to illustrious sons and daughters of the community, said “Today, we shall be giving out Awards of Excellence to illustrious sons of Amanator-Ihiteowerri who have served in various categories of community development and services over the years”. He explained that the awards categories which include Pillar of Hope Awards, Patrons Awards, Ezinwa Awards, Eziogo Awards, Academic Awards and Post Humus Awards are given in recognition of the awardees selfless contributions to the progress of the town. Speaking after receiving his Awards, Prince Stan Okenwa, said “I am humbled to be remembered for what I have done and been doing for the progress of our community. Within the period I have practiced journalism in Lagos, I have served my community in several capacities including Secretary General of AIDU Lagos Branch, Chairman of 2008 AIDU Achievers’ Award, Chairman of AIDU Community Hall/Skill Acquisition Project here at home and the founder of Prince Okenwa Courage Foundation (POCF) which has been given scholarship and educational support to indigent students in higher institutions. Prince Okenwa recalled that the Foundation has over the years been giving Startup supports to artisans who have completed skills training to begin their businesses and enterprises. He therefore thanked the community and noted that the award will spur him to do more for the community. Speaking on the Awards given to Prince Okenwa, an indigene, veteran media executive and Columnist, Hon. Kanayo Esinulo who was also an award recipient at the event said “Any award given to Prince Okenwa by our community is deserved based on his development efforts in the community. He is a worthy and illustrious son of the land and we all wish him well in his future endevours”. Over 20 philanthropists, business captains, professionals including indigenous clergies were honoured during the ceremony attended by several top government officials and politicians in Imo State. 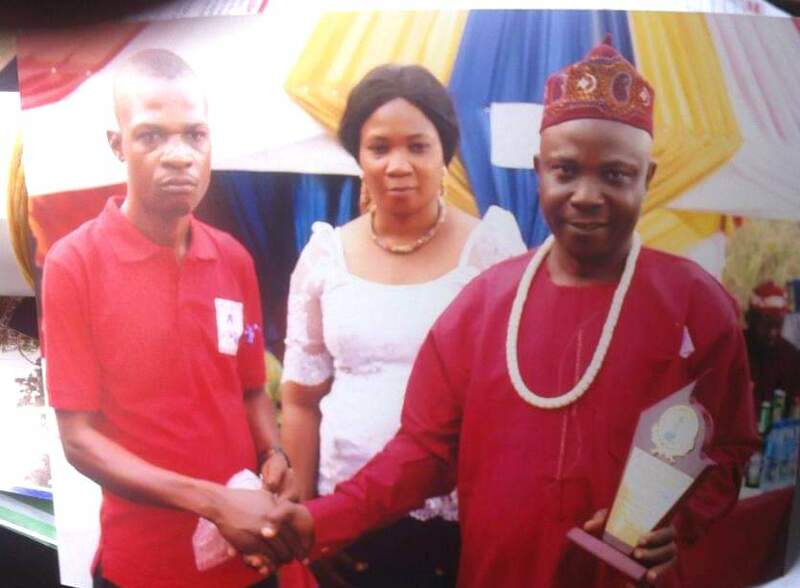 Business Hilights South East Bureau Chief, who covered the event recalls that the publisher had in 2008, bagged AIDU Lagos Branch Community Services Award in Lagos.